Want to see more of Moreton Island while during your stay at Tangalooma? Jump on board one of the many tours available to see some of the fantastics landmarks that make Moreton Island famous amongst both locals and international guests alike. 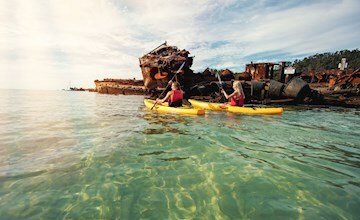 Kayaking tours to the Tangalooma Wrecks provide the perfect opportunity to see them up close without getting wet! Look out for the variety of marine life that live around this area. Savour a bird’s eye view of Tangalooma and Moreton Island. Take an aerial look of the wonders of the Island including the Tangalooma Wrecks, sand dunes, Cape Moreton and more! The sky’s the limit! 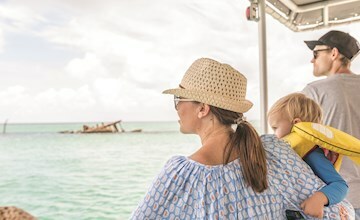 Choose from a full or half day tour and experience all the Island has to offer, accompanied by a local guide with extensive knowledge of Moreton Island. Feel the need for speed? Take a journey to the scenic Tangalooma Desert region as part of this thrilling 4WD bus tour. Participate in the exhilarating sport of sand tobogganing, reaching speeds of up to 40 km per hour! 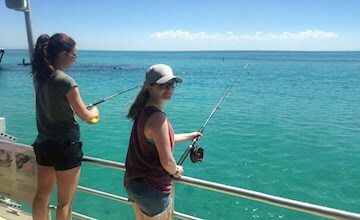 Join the Tangatours team on a two hour ‘Fishing Tour’ amongst the unique locations on the calm waters of Moreton Bay. All equipment will be provided while you head out in search of local fish species. Journey along the coastline in search of dolphins, dugongs, green sea turtles, sea cucumbers, rays and more! 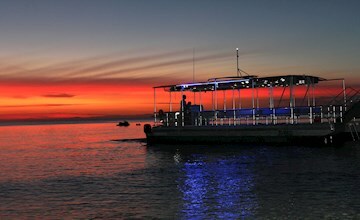 Our purpose built catamaran provides unobstructed views of Moreton Bay’s intriguing marine life. Journey along the Western Beaches on the bay side of the island, passing through the townships of Cowan Cowan and Bulwer. Explore North Point before heading to the oldest lighthouse in QLD at Cape Moreton. The sightseeing and fish feeding tour is fantastic for all ages and a great way to see the beautiful Tangalooma shipwrecks. See what’s under the water without getting wet! There are only a few locations on the east coast of Australia where you can watch the sunset over the water, and Tangalooma is one of them. Relax and enjoy snacks, cool drinks, music and commentary. 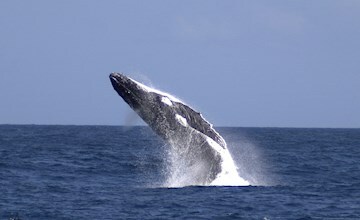 Journey to Cape Moreton in search of humpback whales. Moreton Island is central to the migratory track of humpback whales travelling up and down the east coast of Australia each year. 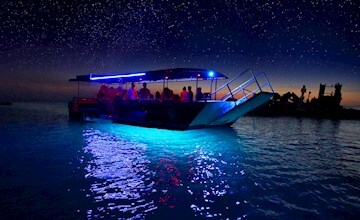 Join us for a unique and captivating evening of discovery aboard our purpose-built glass-bottom boat to the world-famous Tangalooma Wrecks. Explore the Southern end of pristine Moreton Island aboard Tangalooma's new Southern Safari Tour. Includes a delicious lunch at the Kooringal Gutter Bar. Only official authorised visitors to Tangalooma Island Resort are allowed to access the tour provider, equipment hire, and booking services that are based at Tangalooma. Unauthorised casual visitors to Moreton Island are not permitted to use these facilities & services. See our Casual Visitor Policy for further information.